We are so excited to be a part of this amazing giveaway with some of our favorite bloggers! 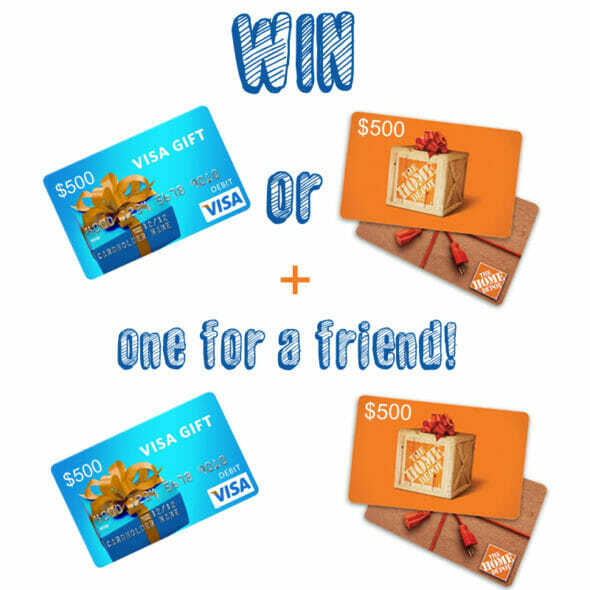 Enter to win $1,000–$500 for you and $500 for a friend! Just use the widget below to enter! Pretty please!!! This would be awesome!! I’m with Christine….no instagram, so no contest….so sad…. Argh! No iPhone! Good luck, everyone! You don’t need a smartphone to get Instagram. Just sign up online. It’s free! No instagram either. Good Luck! No instagram. No contest for me. Boo Hoo!! Having to join all these things to enter a contest doesn’t seem right. Instagram, Twitter, Facebook, and all the others just aren’t for everyone. Too bad you try to make people jump through hoops instead of just entering.